"Back on the Market - Price Reduced, Completely Painted and Refreshed! Bring your boat, kayak or jet ski and move right in! Easy show. 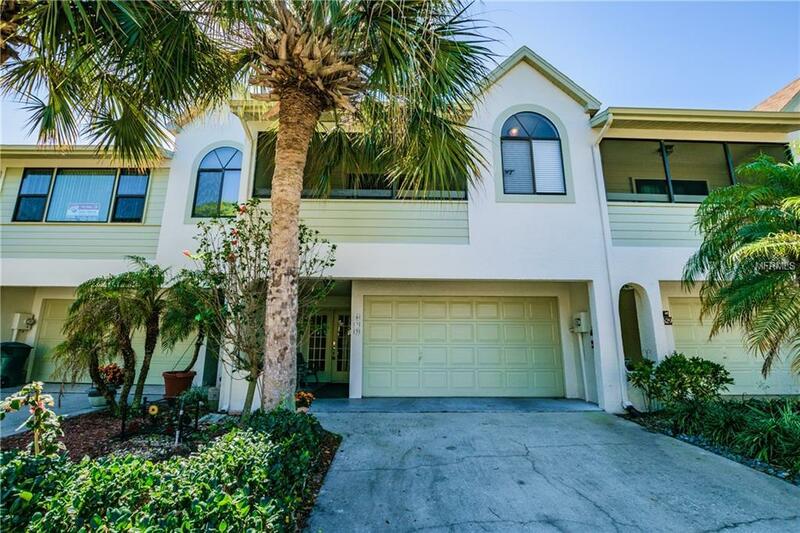 3/2/2 Town Home in Dunedin with DEEDED DOCK and lift minutes away from the inter-coastal and St. Josephs Sound. Located across the street from the Pinellas Trail and Golf Courses. Master bedroom is on main living floor, 2nd and 3rd bedrooms on second floor. All bedrooms have private balconies. Functional finished un-insurable room not include in the heated sq.ft., located behind the 2 car garage which is perfect for a playroom, office, or media room. Deeded slip #9 off gated dock with boat lift fresh water and electric. Low HOA FEE covering insurance, cable, utilities, huge renovated recreation bldg., pristine community pool and private tennis courts makes this affordable pet friendly (2 pets allowed with no weight restrictions) home perfect for you!" Additional Water Information Separate Dock Association Required $500 Annual Dock Fee And 2018 is Paid is Full. Pet Restrictions Pet Owners Are Responsible For Piking Up After Pets/Pets Must Be On Lease.